LEGO City Undercover is a great title for families to enjoy together, it will provide you with hours of fun as you explore the amazing world that has been created entirely out of LEGO. 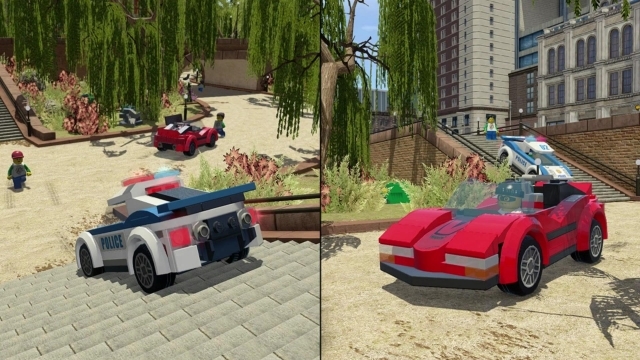 It’s no secret that children love LEGO, and this interactive videogame will spark their imagination as much as building with the blocks would in real life. In fact my daughter likes to watch me playing the game while holding a LEGO figurine in her lap! 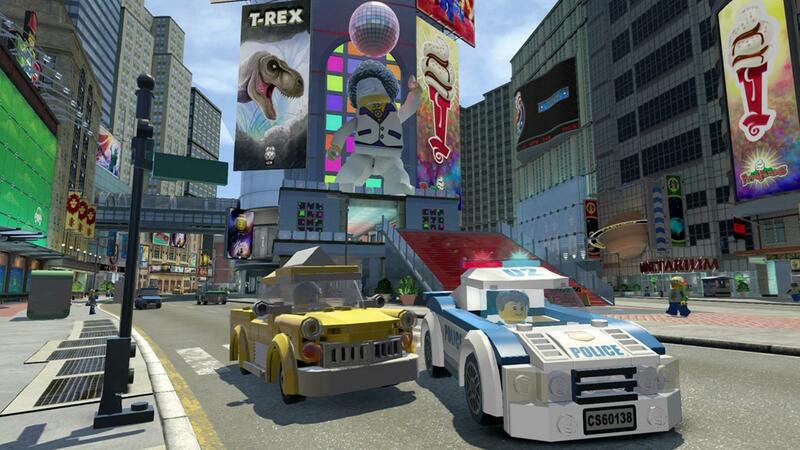 Chase McCain is a police officer who is summoned back to LEGO City after the villainous Rex Fury escapes from prison. He sets out on an undercover mission to find out more about Fury’s escape and to bring him to justice, leading him on many different adventures along the way. 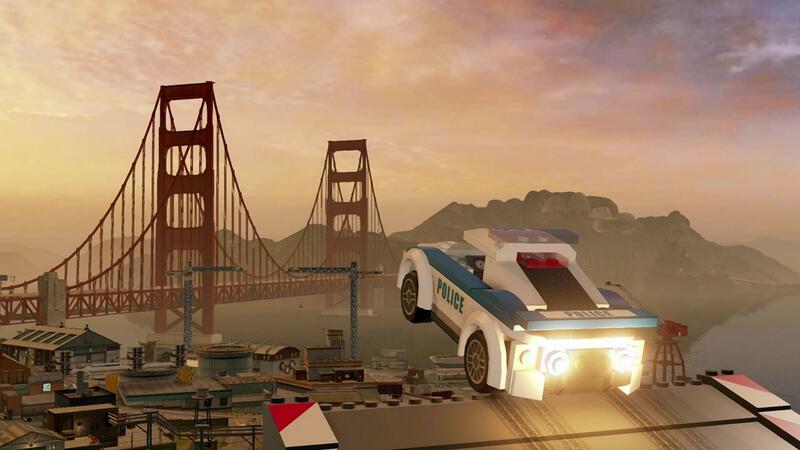 The city is modelled on San Francisco, you’ll recognise the Golden Gate bridge and the tram lines running through the streets, along with the infamous Alcatraz of course. 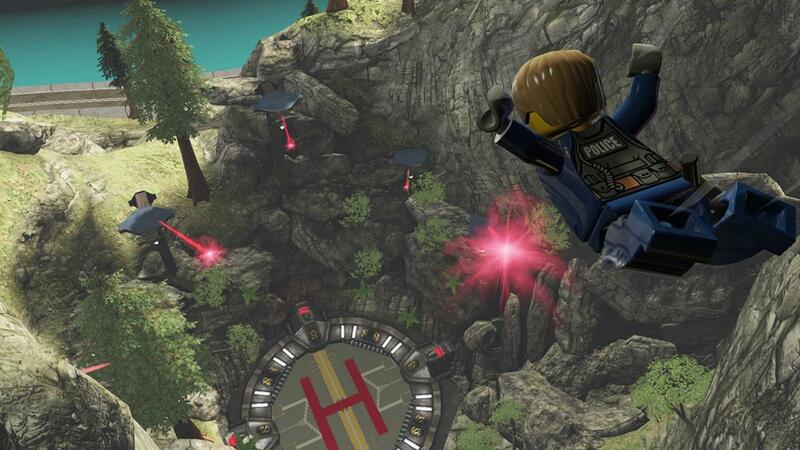 The attention to detail is incredible, with every item that is in this environment built from LEGO. In addition to being insanely cool, it means that almost everything is destructible so you can knock it all down and collect the LEGO studs that will appear. Collecting LEGO studs can become somewhat addictive, with your on-screen tally rising as you do so. The LEGO pieces that you break down don’t always disappear though, sometimes they will remain and then you can use those to build new items. Sometimes these items will be needed to progress in the game, other times they will just be for fun. You will also come across super bricks which are needed to build larger items. McCain can accomplish certain goals as a policeman, but he can also assume various disguises that will allow him to access different areas and use different skills. For instance, as a policeman he can follow clues, while his robber disguise lets him break into safes, and when he’s a miner he can use dynamite! It’s easy to switch between the disguises once you have unlocked them, and adds a nice variety to the game. 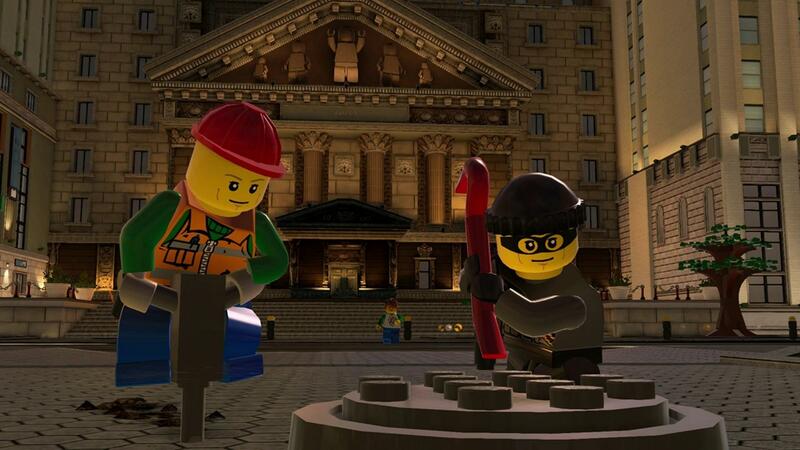 There is a main story mode to the game, where you will follow certain objectives to proceed, but you can also just enjoy exploring and unlocking different secrets or collecting studs throughout the 20 unique districts. This game is really big, if you follow the story it will take you about 15 hours to complete it, but there is reportedly almost 50 hours worth of gameplay in total. One moment you could be chasing and arresting bank robbers disguised as clowns in the city, and the next navigating to another area in the countryside using anything from a grapple gun to a trampoline to a catapult pad…it’s anything but boring. It even features cheesy jokes and good music! Even though the open-world environment is huge, it’s easy to navigate to your next objective using the mini-map on the screen. You will also be able to travel between distant locations using ticket machines, and let’s not forget you can drive every car that happens to cross your path too. The tasks set for you can range from rescuing a sandwich from a hungry seagull to fixing petrol pumps or building a ferry, but you can also look forward to assembling a gumball machine and a dynamite vending machine! There is even a mechanical bull to be ridden and some hoops to shoot. LEGO City Undercover is a fun game to play, together with the kids or even after their bedtime. The multiplayer option means two players can explore co-operatively (although you will require another set of Joy-Cons or a Pro Controller), making it even more fun to build sand castles on the beach or investigate spider infested caves. It gets a thumbs-up from everyone in my family, and I have no doubt that you will enjoy it too. 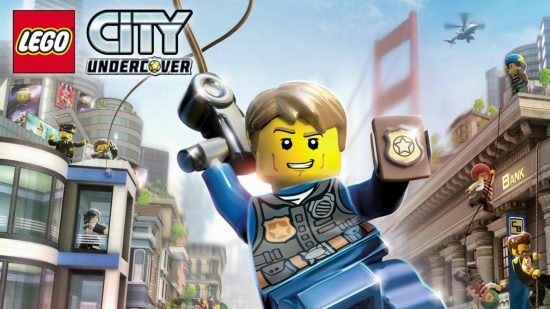 LEGO City Undercover was reviewed on the Nintendo Switch, and is available in stores, from online retailers, or from the Nintendo eShop.